Who doesn't like sliders? It's all the fun of a burger, but in a cuter, gourmet package. 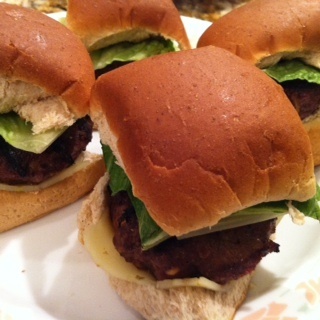 This recipe results in a super juicy, well seasoned, and most importantly low-fat slider. The key component of this recipe is the Lipton's Onion Soup mix (unfortunately, it does have MSG in it - if you can find a replacement, use it). I love, love, love buffalo chicken wings, but I don't often indulge in this fried beauties because, well, they're just plain bad for you. 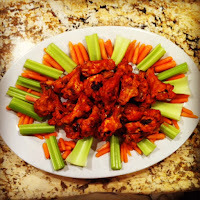 I made these wings for a family Super Bowl party, and not only did they taste amazing, the wings itself were perfect in terms of texture. 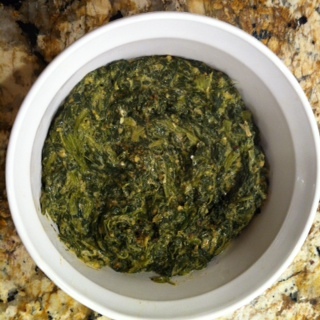 Remove from oven and enjoy with celery, carrot sticks, and some low-fat ranch dressing! I love warm spinach dips, but they're typically very fattening. The problem is most dips use heavy cheese or sour cream, which really up the ante on the fat-factor. I made this dip for a family Super Bowl party and it was a hit. Enjoy with pita chips or wheat thins!